The pictures here make it look like a mobile home/park model park, but there are LOTS of RVs coming and going all the time on the WIDE paved streets! The lots are level and well drained, and really large for the most part. Grass, or paved. Management is new and VERY improved! The activities are many and varied, lots and lots to do in the park, and outside the park, including harbor, river, intercoastal waterway, and the gulf, all within a short distance. Accessible by boat or land vehicle, Training camps, shopping, dining and bike trails are close by too. Harbor Lakes is VERY close to the bird sanctuary and the birds can't tell where it ends so they come here to fish, bathe, and spend time! 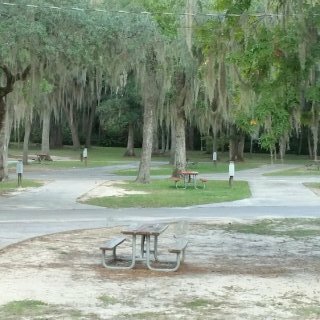 We camped at Harbor Lakes RV Resort in a Motorhome. Close to I-75, lots of tree coverage so no satellite access, site is level, easy to get reservation! 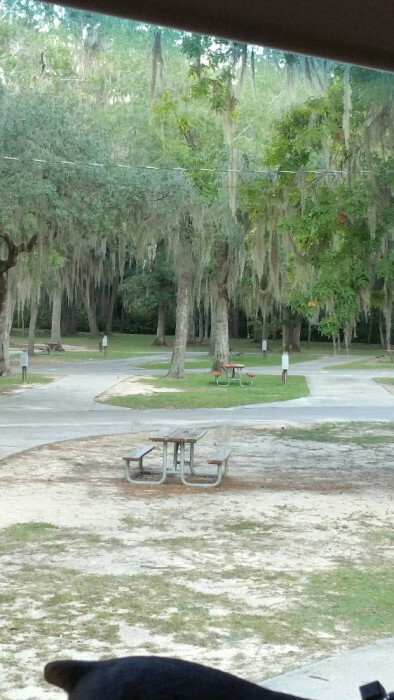 We camped at Eagle's Roost RV Resort in a Motorhome. Close to the freeway, but quiet! If you KNOW how to drive it works. We are a 44' motorhome pulling a Ford Explorer. If we can make it, anyone can make it! And you can't beat the price!! The staff worked with us as we changed our stay, after we got here. Good folk. We camped at Raccoon Valley RV Park - Escapees Rainbow Park in a Motorhome. Pull IN site, so the view is in. All good utilities (except water stained our porcelain). Even internet access is good! Satellite friendly. Nothing to block our view our the bay. Lobster, ready to eat, delivered to our coach at the most amazing prices, you won't believe if you aren't a local! Clamming at low tide, right out your front door. So much to see and this is a great base. You need at LEAST a week! We camped at Sagadahoc Bay Campground in a Motorhome. Maritime Museum in Bath, travel north on US 1 through quaint towns and along the water! Georgetown Pottery (thrown on site), Five Islands (fresh lobster), Reid State Park (think ocean beach).